Flowlu is All-in-one business operating system. Flowlu offers all required tools for efficient business management, from project & task management to sales & social collaboration. "Great features! Needs the ability to export!" The task management and knowledge base are the two pieces of the application that I like the most. One of my favorite features of the task management is the ability to make templates for common tasks, including all of the smaller steps that need to be completed for each task. The one feature that would make me feel the most comfortable investing a larger block of time into the application would be the ability to export knowledge base (and task) data. It makes me a little leery to invest a lot of time adding knowledge base articles if I cannot export them for use down the road if I were to move away from this application and/or just to have as a backup. I have been searching for a knowledge base that is easy to search and keep up to date. Flowlu has solved that issue. Again, the only reason I have been hesitant to create a large number of articles is due to the lack of the ability to export the data. "Different applications to work together in one place"
The interface is intuitive, so the basic functions for working in a team can be easily and quickly mastered. For example, how to create a task and project, how to control the timing, and then evaluate the result by time tracking. Especially happy chat in the system. Previously, the team talked in messengers or social networks, so someone was often distracted from work, and someone was not involved in the discussion of the workflow. Now there is no such thing. In the list of tasks - everything can be broken down into shelves: for projects, lists ... Folders today, tomorrow - set-off! Until I complete everything from the folder today - I do not go into tomorrow. No co-executors in the task, only observers. Salary is considered in a separate module, which has nothing to do with the main financial section. We have been using the system for half a year with the team. We mainly use the system for internal communications, setting tasks and assigning responsible, accounting for work with customers and finance. It is very convenient to look at the information on the client - what kind of project is assigned to it, how much money we received and what exactly did we do. We compare the work with the time spent on tasks and analyze our effectiveness. "absoluetly love this for project management and as a crm system"
First off, it's free. Second, it's very intuitive and easy to use. It works well, and each task comes with a number of different features; start and due date, time tracking, file attachments, etc. The developers are super responsive and always appreciative when I bring an issue to their attention. The only thing I am really missing is a search function. That would really make this a great piece of software! Try it, it doesn't cost anything! It's become essential to my day. I would recommend backing up your data just in case any major shifts happen to the program. I'm using Flowlu to manage my short and long term business tasks. KiSSFLOW is the only Workflow Software and BPM Tool built exclusively For Google Apps. Workflow Process Automation is made simple and smart – finally!! With Nintex Promapp, teams can map, share, review and update their enterprise-wide processes. Drive company-wide collaboration, increase visibility and accountability, and improve your processes—all in one easy-to-use platform. Process Street is a SaaS application for businesses to build and track their processes using superpowered checklists. Navvia software helps you easily create, improve and manage your IT or business processes. The social collaboration capability empowers you to take a people-focused approach in building effective processes. Happy people make happy organizations. IBM Blueworks Live is a business process modeling tool that lets you discover, map and document your processes. The cloud-based environment allows for effective collaboration in a way that is structured and usable by anyone in your company. Pipefy is a workflows & process management tool for startups. They help them to organize and run their processes in one place, without the help of IT guy or consultants. They have free templates based on the best practices of A/B Testing, Agile Software Development, Bug Tracking, Content Marketing, B2B Sales Pipeline, Product Roadmap and others... Instead of running your operation with spreadsheets, forms or a patchwork of vertical softwares, you can keep everything organized and running in just one place with Pipefy. * We monitor all flowlu reviews to prevent fraudulent reviews and keep review quality high. We do not post reviews by company employees or direct competitors. Validated reviews require the user to submit a screenshot of the product containing their user ID, in order to verify a user is an actual user of the product. Hi there! 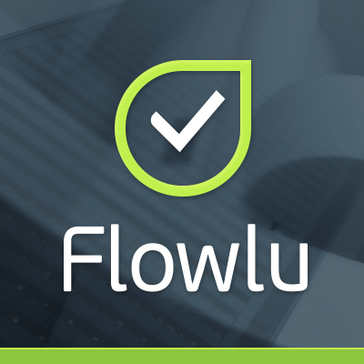 Are you looking to implement a solution like flowlu?